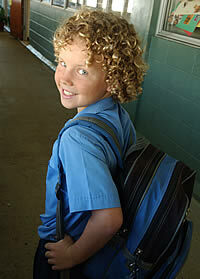 St Joseph's Parish School is an integral part of the Cairns Diocese and the Catholic Parish of Atherton. Located approximately one hour's drive from Cairns, Atherton sits within the heart of the naturally beautiful and agriculturally-rich Atherton Tablelands. Despite its changes over the years, St Joseph's has remained committed to providing its students with a well-balanced and relevant education and curriculum under a Sisters of Mercy charism. St Joseph's serves the goals of Catholic Education - to foster a Christian community and a belief in the message of Jesus Christ alongside a balanced and quality education. Students are drawn from Atherton itself and a number of smaller towns such as Herberton, Yungaburra, Tolga, Malanda and Walkamin. St Joseph's has a welcoming feel to it and a group of highly dedicated and motivated parents and carers who genuinely assist with the provision of the best educational environment possible for their children, through their hard work and commitment. St Joseph's is also fortunate to have a skilled staff who see their role as nurturers of the faith and who are committed to their role as Catholic Educators. Involvement in various Community events, eg. Maize Festival, Carols by Candlelight, etc. Integral to the mission of St Joseph's Parish School is our commitment to supporting parents as the first and primary educators of their children. We believe that schooling is a partnership operation. It is in working as partners - in supporting and encouraging each others' efforts - that we benefit in bringing children to a genuine knowledge of themselves and of the world in which they live. Together it is hoped that efforts of co-operation and mutual support will complement each other through the sharing of a common vision and of common goals. 91 parents responded to the 2017 survey. 82% considered St Joseph's as a welcoming and caring community where everyone is treated with respect. 87% agreed that they would recommend St Joseph's to others, 84% agreed that St Joseph's has a good reputation in the community. 81% of parents agreed that they have confidence in the teaching staff at St Joseph's. 78% believed that staff, parents and carers work together to deliver quality outcomes for their students. 13 staff members responded to the 2017 satisfaction survey. 100% of staff agreed that the school staff live out their values and actions. As well, 100% of staff believed that St Joseph's is a welcoming and caring community where everyone is treated with respect. 100% of staff agreed that St Joseph's delivers quality educational outcomes for students. 100% feel valued and respected. One staff member stated that "I have a long association with this school; I have always loved the strong relationship between the school, parish and the community; Being a small school, staff morale has always been good and I feel valued as a staff member; I love working for Catholic Education and St Joseph's has allowed me to grow professionally and spiritually." Parents are encouraged to contact the school by telephone, email or the school's absentee App on the day that a student is absent. If the school is not contacted, and the reason for the absence is not known, the school uses an SMS system as a follow-up. If there is a pattern of non-attendance, parents are contacted to discuss any issues or concerns regarding the student. In 2016, the focus for the school will be the finalisation of all curriculum planning in accordance with the Australian Curriculum. School based assessment, NAPLAN results and support programs will continue to form the basis for strategic planning in student learning. From this data, Writing (as an strand within English) has been identified as an area in which the school will focus some curriculum professional development in 2016. Furthermore in 2016, our school will undergo its 5 year external review and so in 2015 we began a review of existing policies and procedures as a reflection in readiness for that. The students will continue to be encouraged to be involved in a wide variety of extracurricular activities, to ensure that we are developing their intellectual, social, emotional and spiritual dimensions. 32 students from Grade 5 and 6 participated in the satisfaction survey in 2017. 84% of students agreed that they were proud of being a student at St Joseph's. 81% agreed that staff show respect for each other. One student said: €œI really like the way the teachers are approachable and respectful of student's ". 94% agree that the school encourages them to help other people. A student responded: €œWhat I most like about Saint Joeys is that the teacher always encourages the students to strive in what they do and always do their best. 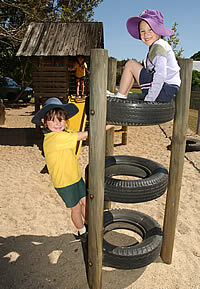 I also like how the school has many areas where the students can play and have fun. I have an AMAZING AND AWESOME Teacher. I think Saint Joeys is overall an amazing school and is great. I've learnt so much for my time being here and I'm sad I'm leaving! " 94% agree that teachers seem to really like teaching and that they are encouraged to do the best they can. 81% agree that learning is challenging and that they are made to think about learning.